In stock -This product will ship today if ordered within the next 9 hours and 18 minutes. Sea buckthorn berries are loaded with unsaturated fatty acids, vitamins and biologically active substances that help boost immunity, support healthy mucous membranes and fight free radicals. 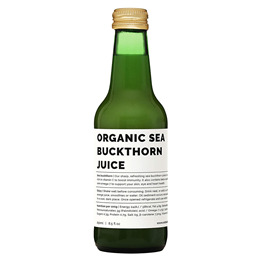 The nutritional profile of sea buckthorn berries is as extraordinary as their pungent taste. Used for centuries in Eastern Europe and Asia, this plant is supercharged with rare omega-7, vitamins C, A, E, beta-carotene, amino acids and dietary minerals. Organically grown, hand-picked and made with love, enjoy the tart flavour of sea buckthorn berries in an organic juice form. Organic sea buckthorn berries. Gently pasteurised. Add 3-4 tablespoons to your smoothie, cocktail, porridge, yogurt or salad dressing. Do not take before bed. Once opened, refrigerate and use within 10 days. 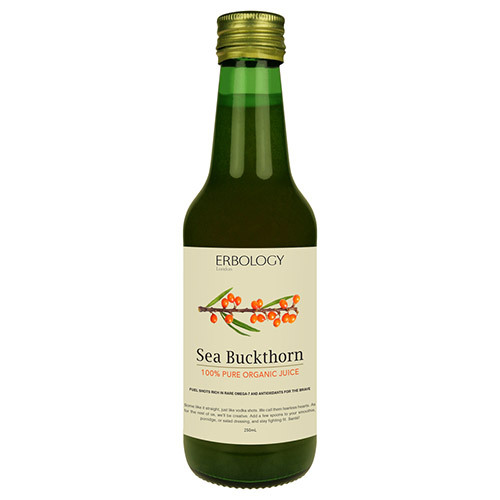 Below are reviews of Erbology Sea Buckthorn Organic Juice - 250ml by bodykind customers. If you have tried this product we'd love to hear what you think so please leave a review.